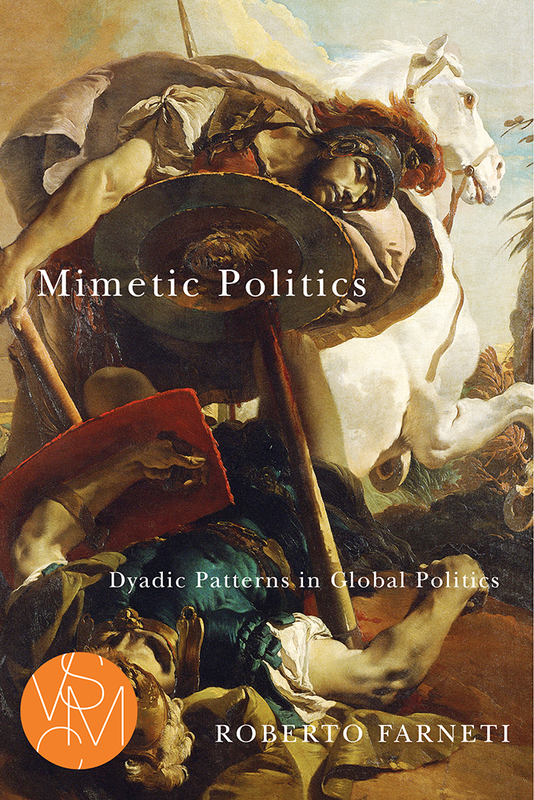 War, violence, and the disruption of social orders are critical areas of focus in mimetic theory, and a mimetic perspective applied to the study of politics illuminates social processes and phenomena over and beyond typical explanations offered by mainstream political science. Unlike traditional political science ontology, the mimetic perspective highlights neither individuals nor groups, but “doubles,” or “mimetic twins.” According to this perspective, in order to grasp the fundamental rationales of political processes, we need to concentrate on the distinctive propensity of either individuals or groups to engage in mimetic contests resulting from their unreflective disposition to imitate each other’s desire. This disposition has been strikingly described by the French-American anthropologist Rene Girard: “Once his basic needs are satisfied (indeed sometimes even before), man is subject to intense desires, though he may not know precisely for what.” Via mimetic theory, Farneti highlights phenomena that political scientists have consistently failed to notice, such as reciprocal imitation as the fundamental cause of human discord, the mechanisms of spontaneous polarization in human conflicts (i.e., the emergence of dyads or “doubles”), and the strange and ever-growing resemblance of the mimetic rivals, which is precisely what pushes them to annihilate each other. Roberto Farneti is Assistant Professor of Politics at the School of Economics and Management of the Free University of Bozen-Bolzano in Italy.